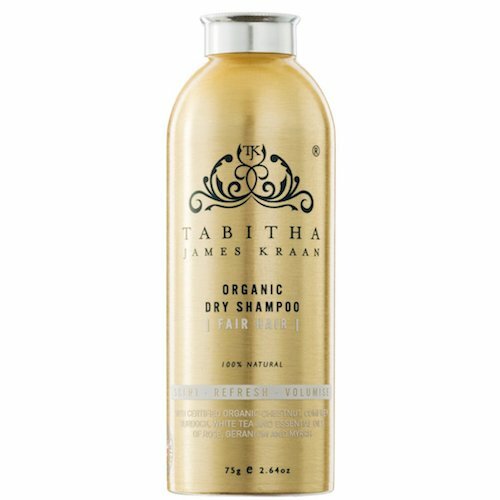 The Organic Dry Shampoo by Tabitha James Kraan is a complex blend of ethically sourced organic ingredients that has a revitalizing effect on hair, banishing the look of oily and limp locks. 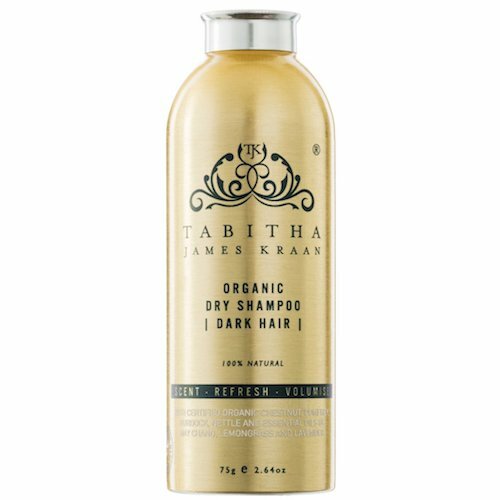 A luxurious formula that creates fresh looking hair in between washing and offers an appearance of balanced natural oils with chickpea, millet, chestnut, comfrey and burdock root. 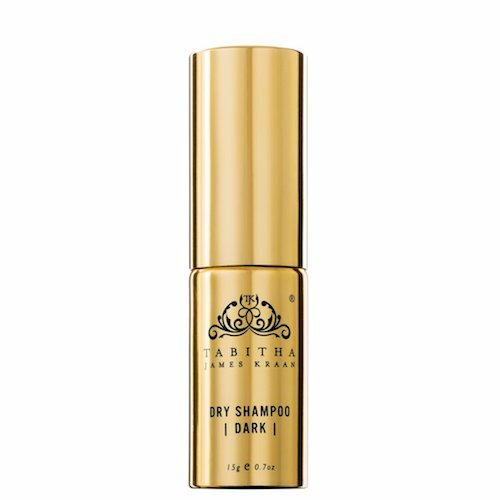 Shake liberally onto roots of hair and massage with fingertips. Finger or brush through hair. 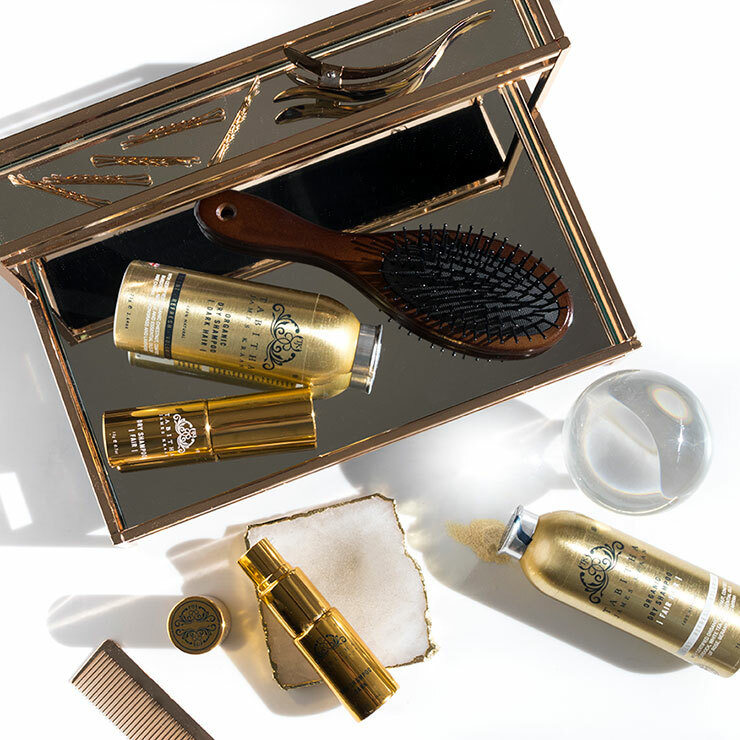 Apply daily to extend the look of your hair style or blowout. Fair/Light: Manihot Utilissima (Tapioca)*, Oryza Sativa (Rice)*, Castanea Sativa (Chestnut)*, Sodium Bicarbonate, Cicer Arietinum (Chick Pea)*, Zea Mais (Maize Powder)*, Arctium Lappa (Burdock Root)*, Anthemis Nobilis (Chamomile)*, Citrus Limon (Lemon)*, Symphytum Officinale (Comfrey)*, Camellia Sinensis (White Tea)* Solanum Tuberosum (Potato)*, Urtica Dioica (Nettle)*, Cymbopogon Citratus (Lemongrass)*, Pelargonium Graveolens (Rose Geranium)*, Rosa Damascene (Rose Otto), Commiphora Myrrha (Myrrh)*. (Citral, Geraniol, Benzyl Benzoate, Benzyl Cinnamate, Citronellol, Farnesol, Limonene, Linalool - Naturally Occurring Components Of Essential Oils). Dark: Manihot Utilissima (Tapioca)*, Oryza Sativa (Rice)*, Castanea Sativa (Chestnut)*, Sodium Bicarbonate, Cicer Arietinum (Chick Pea)*, Arctium Lappa (Burdock Root)*, Arthrospira Platensis (Spirulina)* Theobroma Cacao (Cocoa)*, Anthemis Nobilis (Chamomile)*, Citrus Limon (Lemon)*, Symphytum Officinale (Comfrey)*, Solanum Tuberosum (Potato)*, Urtica Dioica (Nettle)*, Euterpe Oleracea (Açaí Berry)* Nigella Sativa (Fennel)*, Cymbopogon Citratus (Lemongrass)*, Pelargonium Graveolens (Geranium)*, Lavandula Angustifolia (Lavender)*, Styrax Benzoin (Benzoin), Litsea Cubeba (May Chang)*. (Citral, Geraniol, Benzyl Benzoate, Benzyl Cinnamate, Citronellol, Farnesol, Limonene, Linalool - Naturally Occurring Components Of Essential Oils). No white cast, smells nice, doesn't remove the healthy shine, but absorbs extra oil. Looks like I came out the salon.